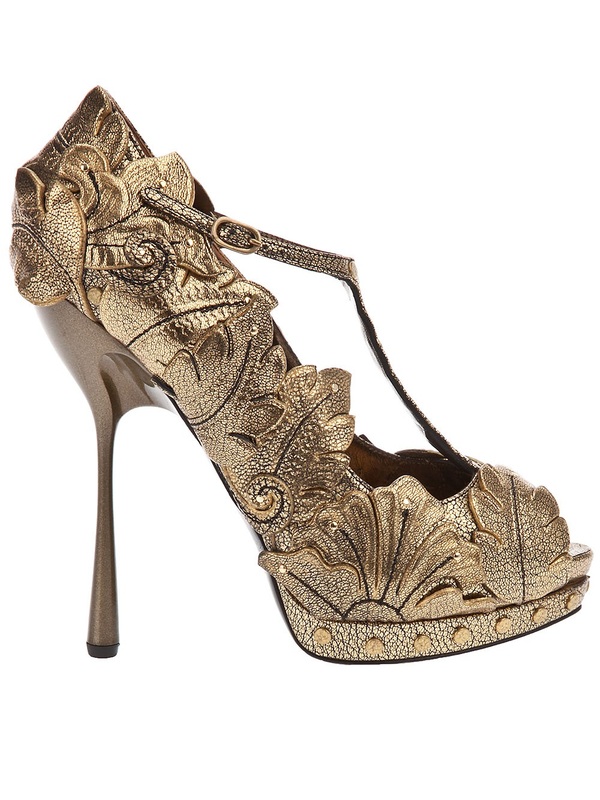 As we head into Fall, I was looking for shoes that would fit the color palette of the season and litterally stumbled upon these Alexander McQueen Leaf Platform shoes. I think they are truly stunning. Anyone who knows Alexander McQueen, knows his style can be a bit out there at times, but this one is so on the money!!! This shoe would be great for a Fall wedding, with gold, brown, or red accents. Or, just to have in your closet. You could also wear these after the wedding day, if you chose to do so.